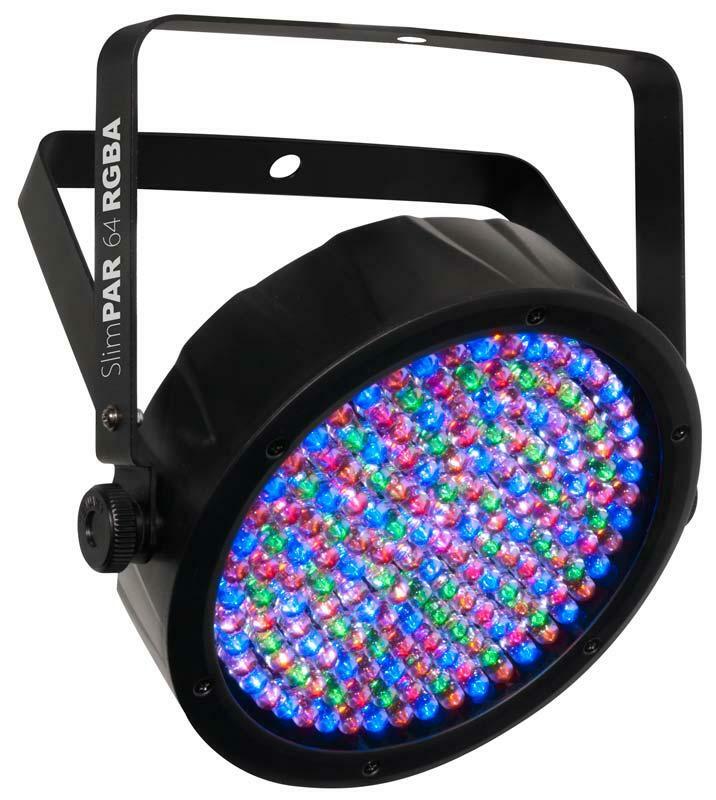 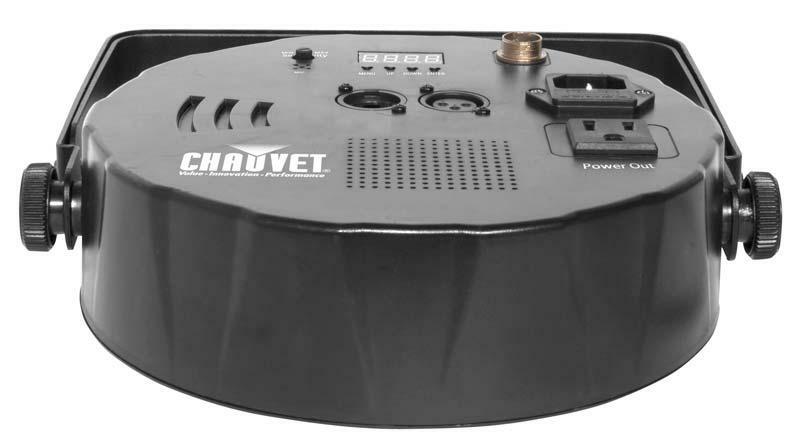 The Chauvet SlimPAR 64 RGBA is an LED PAR 64 with a slim, 2.5-inch thick casing that can fit almost anywhere. 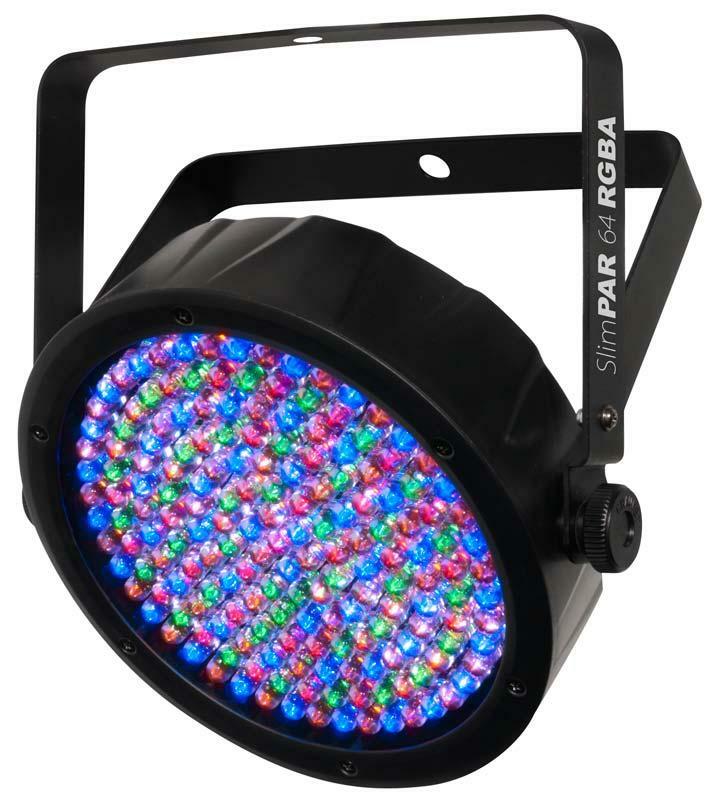 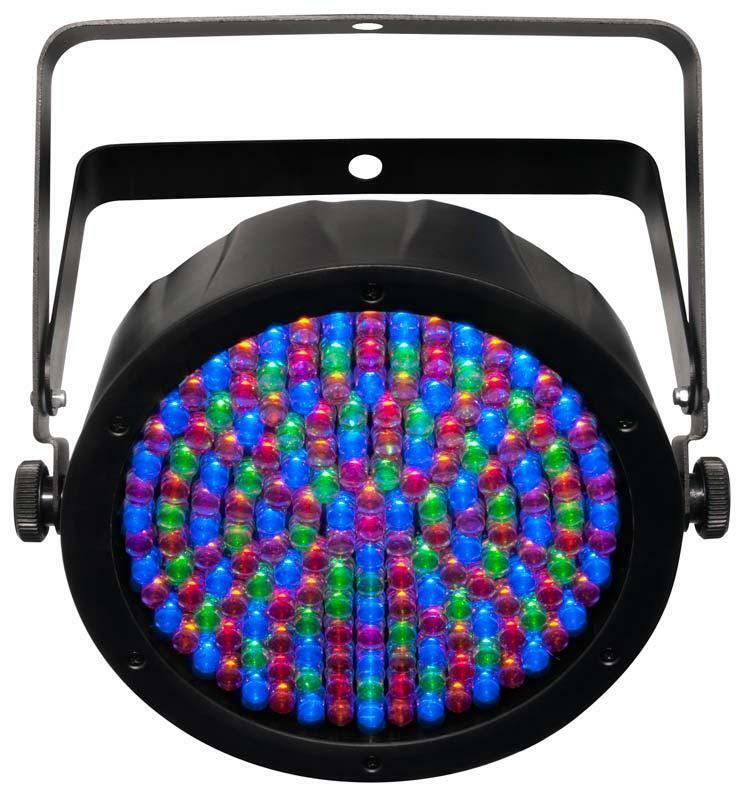 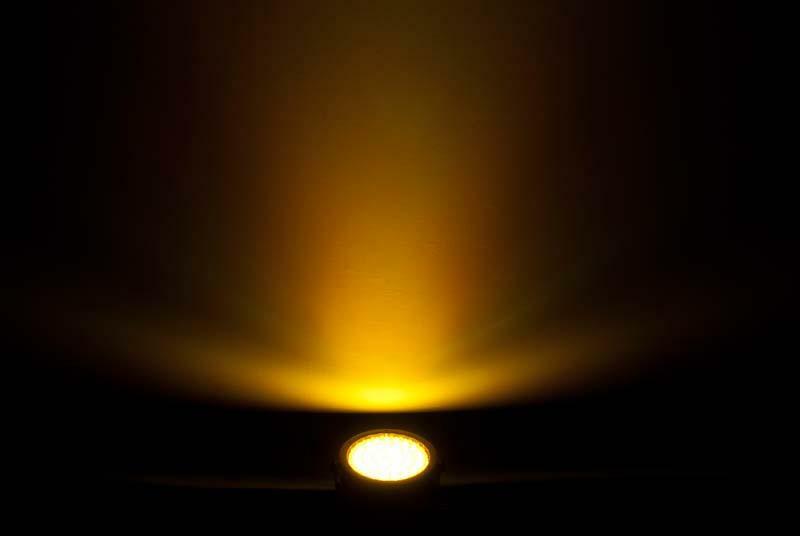 Boasting 180 red, green, blue and amber LEDs, the fixture offers static colors and color mixing with or without DMX. 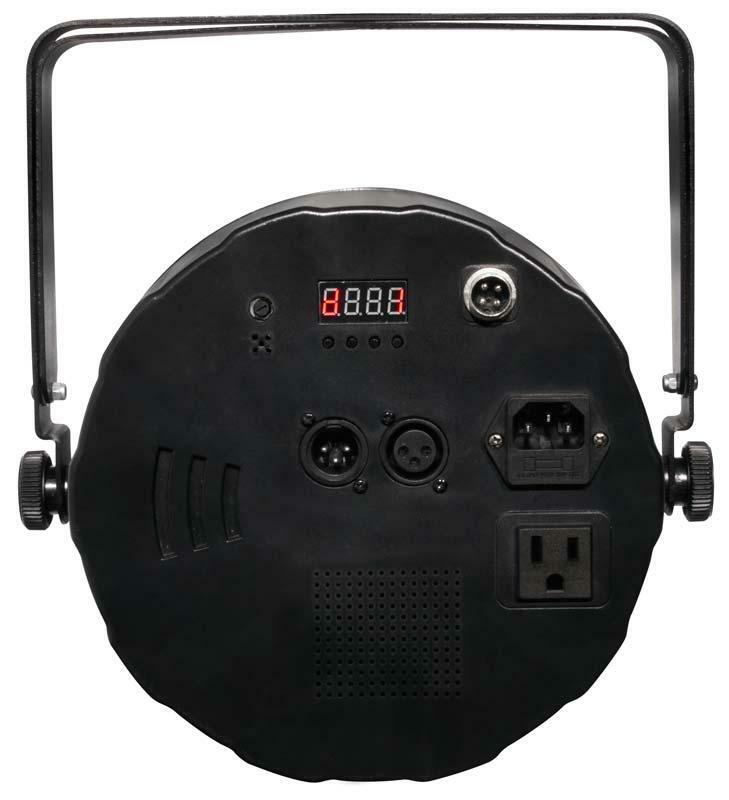 Use built-in automated and sound-activated programs and variable speed-pulse effect for use on the fly, or create your own looks using 4- or 8-channel DMX mode.